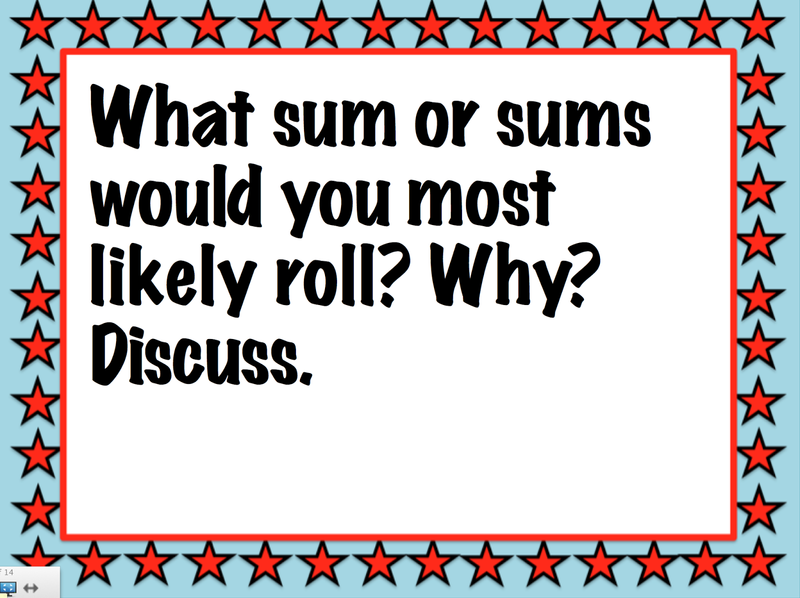 Math Monday | The Techie Teacher® . 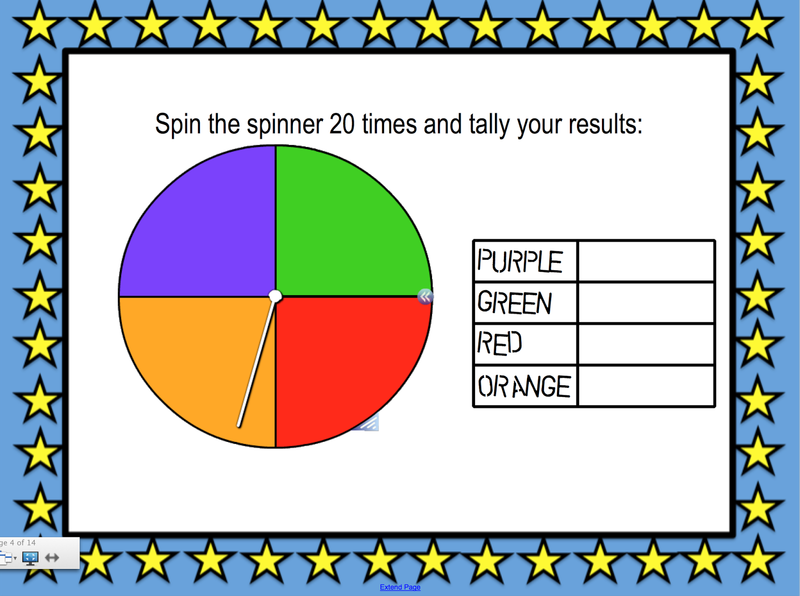 My favorite activity in this lesson is the next one. 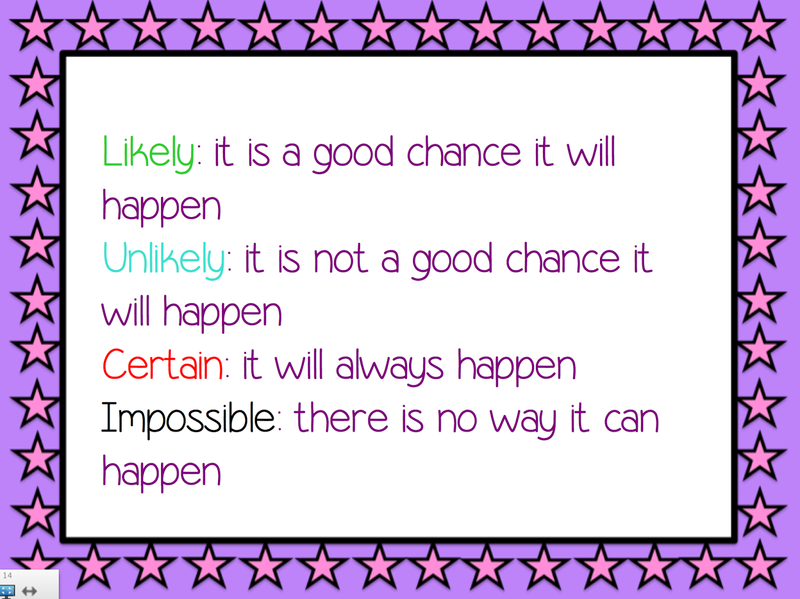 I LOVE how it involves strategy and makes the students aware that probability isn't just plain luck of the draw. Sometimes strategy is involved! 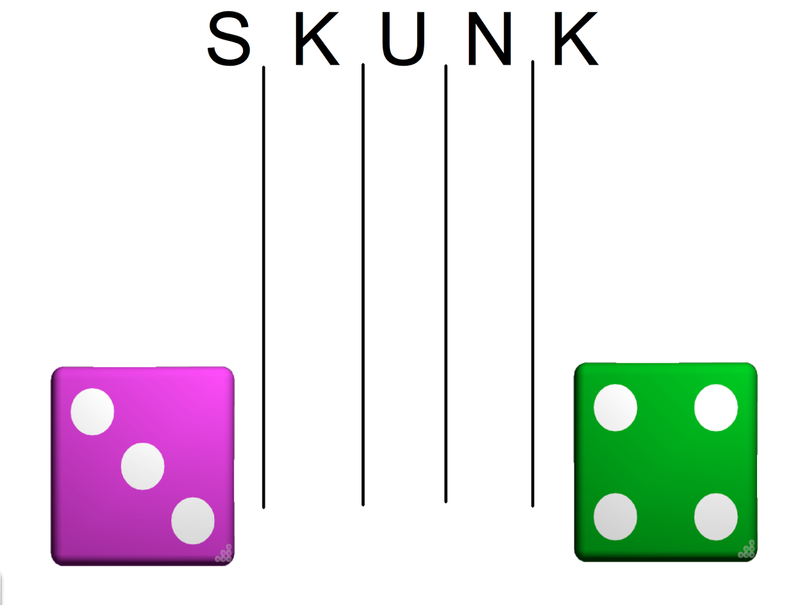 A game of SKUNK consists of five rounds, one for each letter. 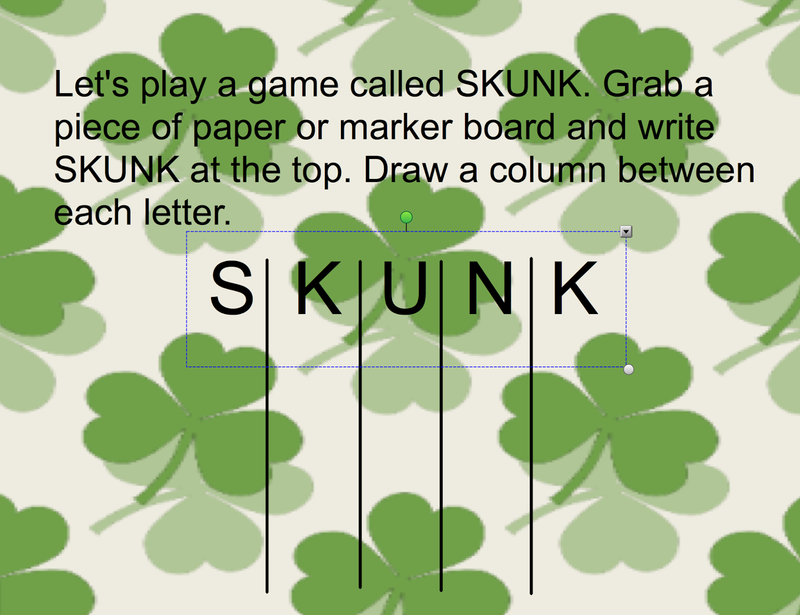 A score sheet consists of five columns; at the top of each column is one of the letters from the word SKUNK. 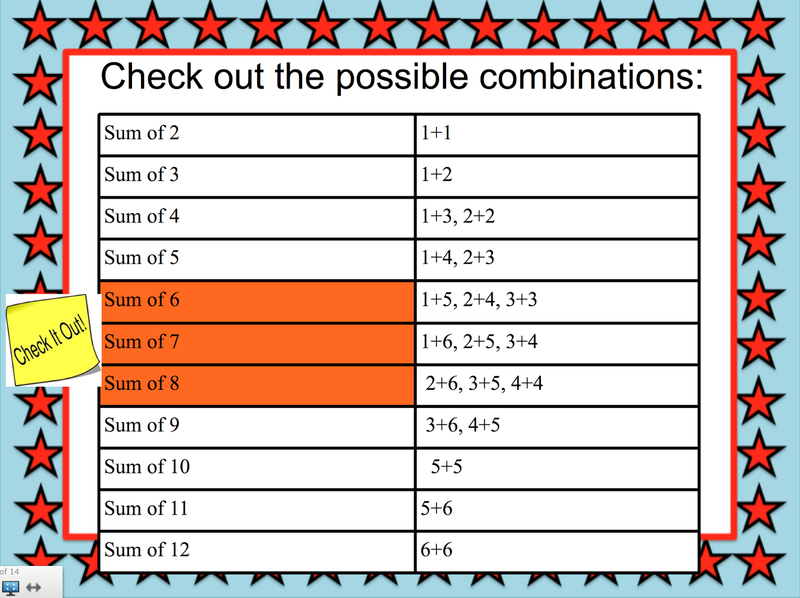 Play begins with the S column and continues through the K column. Each round begins with every player standing, and two dice are rolled. If a one is rolled on either die, play is over for that round, and all of the player's points in that column are wiped out. If double ones are rolled, all points accumulated in prior columns are wiped out as well. 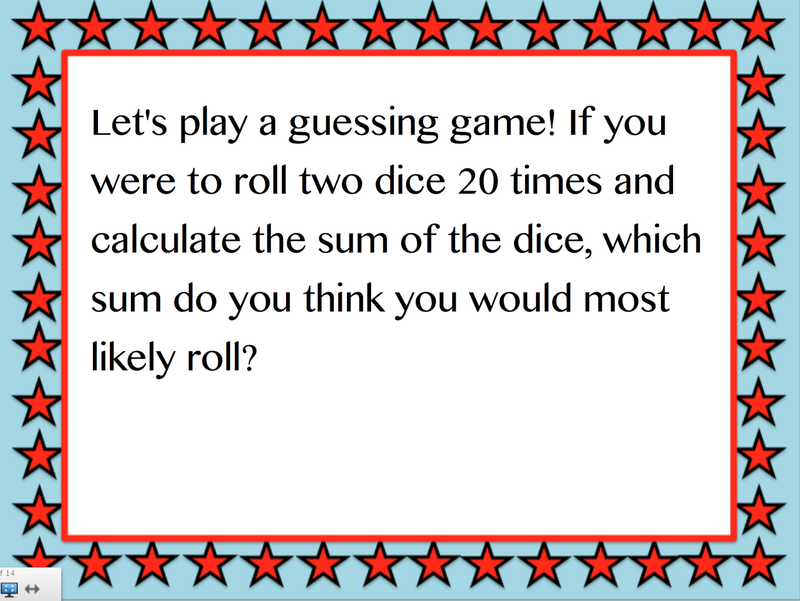 Otherwise, each player records the sum of both dice in that column of the score sheet. 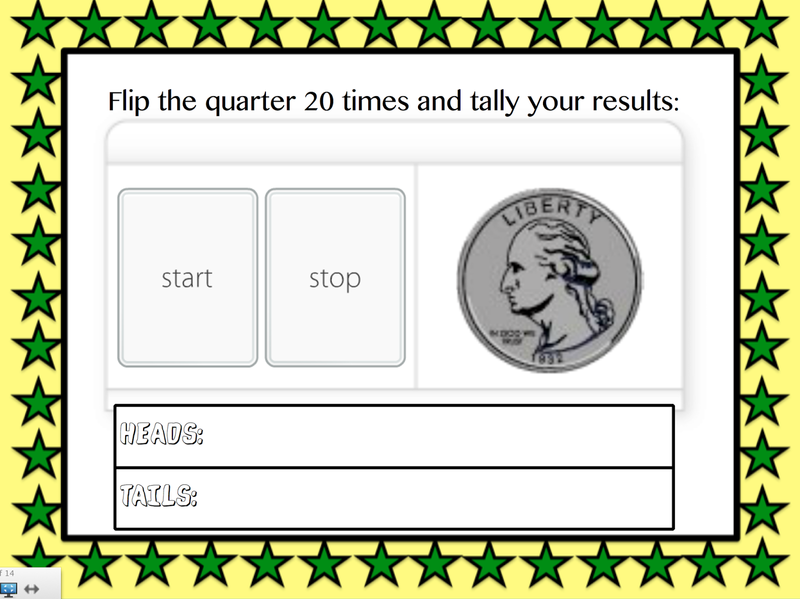 Then, each player may choose to try for more points on the next roll (continue standing), or he or she may stop and keep the points accumulated so far (sit down). Note: Every player must stand for the first roll of a round. 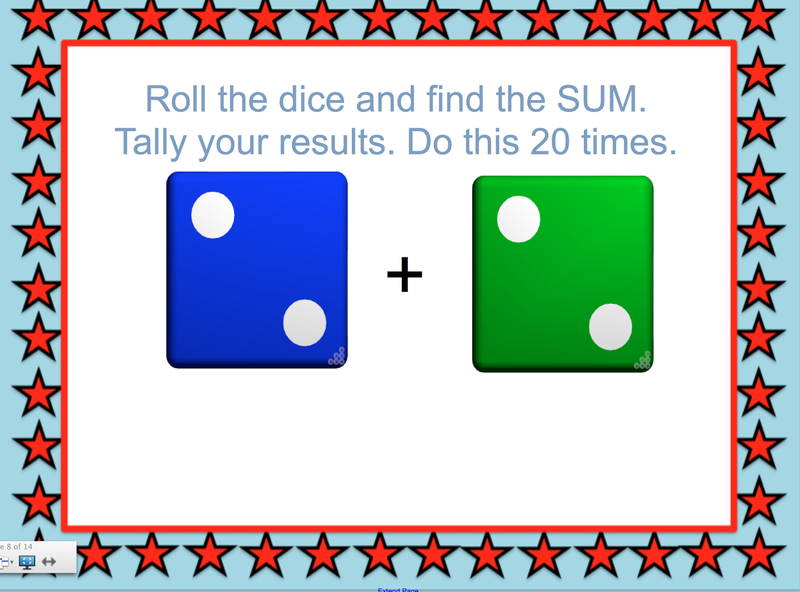 If a one or double ones occur on the very first roll of a round, each player must take the consequences. Click HERE to take you to this product in my TpT store! I love this, just added it to my wishlist. 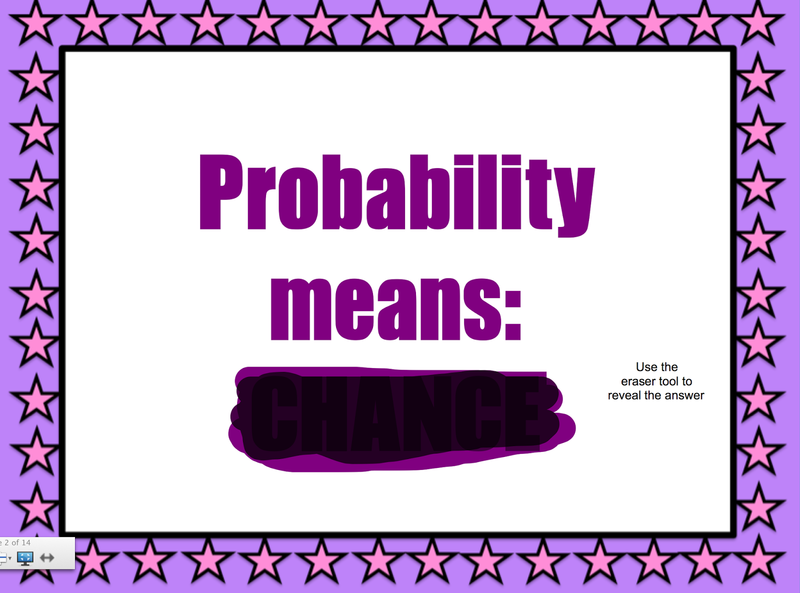 Such a fun and interactive way to teach probability.